Set on a quiet, cobble-stoned street facing the monastery of St Ursula, Ursulino sits gracefully among Valletta’s beautiful Baroque buildings. Formerly a 20th century family townhouse, it began a new lease of life as one of Valletta’s loveliest boutique hotels in 2015 and has retained its original art nouveau charm. 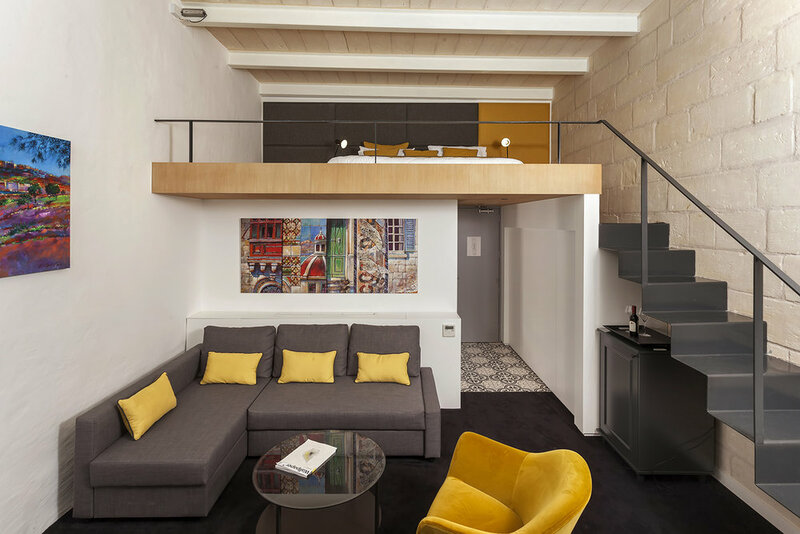 An eclectic art collection focusing on Valletta’s cityscapes in all styles and colors decorates the walls of the communal areas, while the seven contemporary rooms feature pops of bright colors and Maltese-style tiled floors; sleek bathrooms are equipped with Molton Brown amenities. 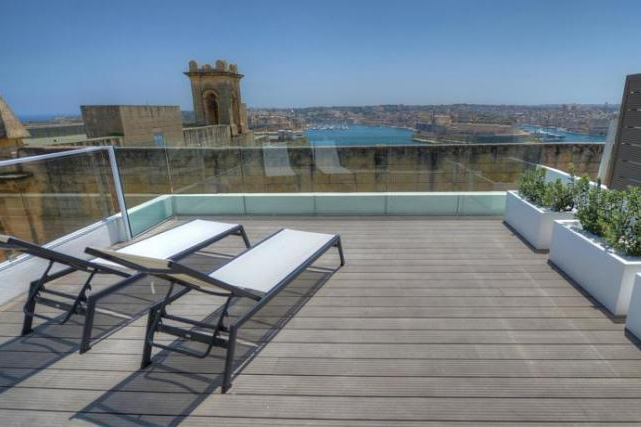 Among this boutique bolthole’s special features is its rooftop terrace with 360 degree views of Valletta’s skyline, including Fort St Elmo and the Grand Harbor. On balmy, sunny days - and there are many in Malta - you can enjoy a continental breakfast up here (we loved the Sicilian sweets). This elegantly restored townhouse promises luxury B&B accommodation to 5-star hotel standards, yet also offers the warmth and the personalised service of a family-run boutique B&B. 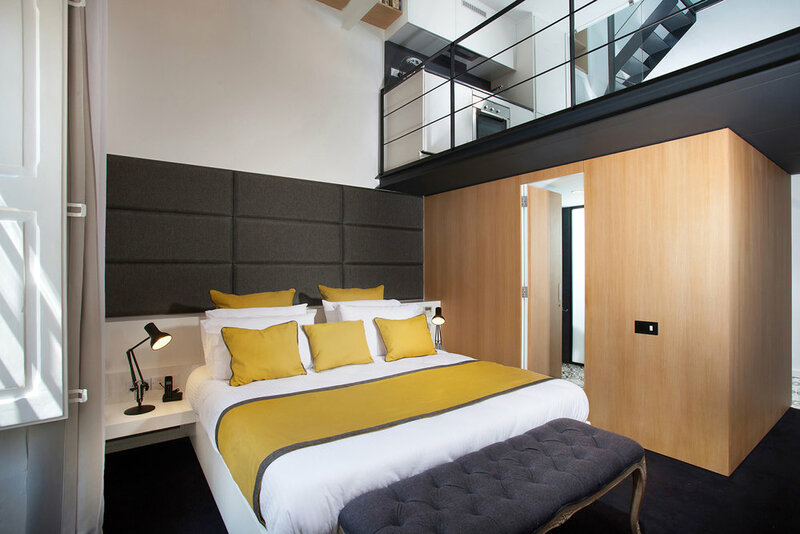 The best rooms feature balconies, but the top pick is the Penthouse Suite (82SEVEN) – a triplex with a living area and kitchen, as well as a fabulous terrace looking out to the Grand Harbor. Ursulino offers complimentary aperitifs every evening from 6-8pm – you’ll be served a glass of prosecco and Italian antipasti on the spectacular rooftop terrace with nighttime views of the lit-up harbor. 82A St Ursula Street, Valletta, Malta. It’s a 15-minute drive from Malta International Airport, and a few minutes’ walk from Valletta’s main sites. The fortified city of Mdina is a 21-drive from here. A car is not necessary for getting around Valletta itself, but if you’re planning on exploring the rest of Malta, we’d recommend hiring a car at the airport. Parking isn’t easy in Valletta – St Ursula Street is one-way so you’re better off parking along St Barbara Bastion (in white boxes only). Visit their website for more info and booking.